Full Instructor Certification completed via Distance Learning! Including access to the Fitness4x4 Online Education Platform, Lesson by Lesson Guidance supported by Video Tutorials, Webinar, Review Quizzes and Remote Tutor Support. Every lesson designed to take you 1-step closer to teaching the Ultimate Workout. 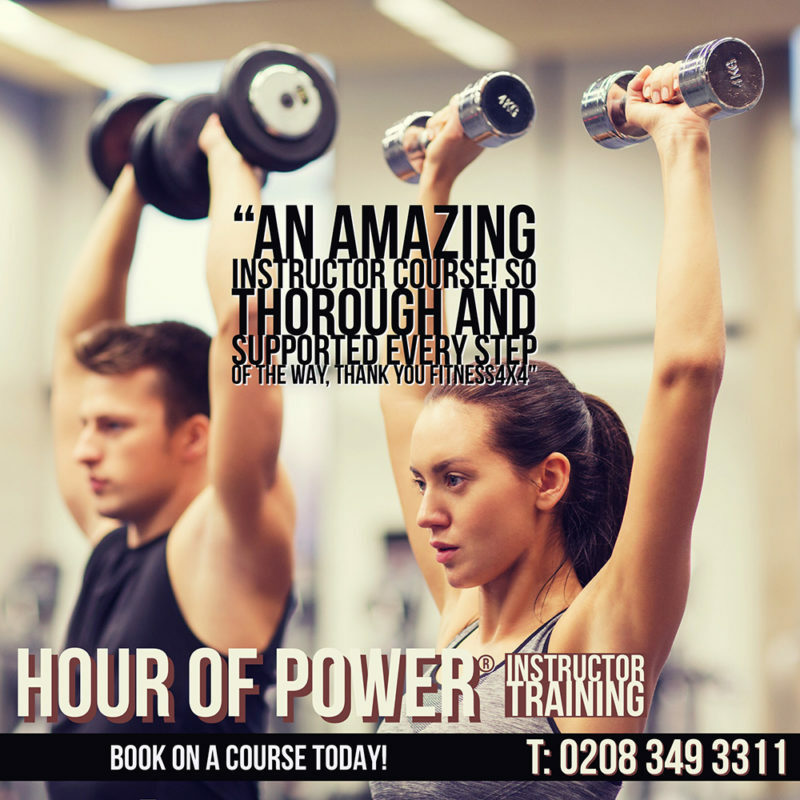 Includes Digital Starter Pack featuring HOP® Instructor E-Manuals, Fitness4x4 Foundation Course Access, HOP® Royalty Free Instructor Music, and activation onto the Register of Certified Hour of Power® Instructors. Full Instructor Certification ON-SITE at your club or venue. Two Full Days training scheduled as a full weekend training, 1-Day Completion Training Only (Distance Learning Supported) or two single days scheduled over consecutive weekends. We will come to you! DOWNLOAD OUR NEW DIGITAL BROCHURE TO FIND OUT MORE! In-House Training Options? If you would like to enquire about scheduling on-site Instructor Training at your venue please call us on +44 (0)1895 730004 and we’d be happy to discuss your specific training needs. If you have any questions at all about any of our training and certification options, please visit our CONTACT Page and we very much look forward to helping you in the most powerful steps you will ever take in your own personal and professional fitness journey.